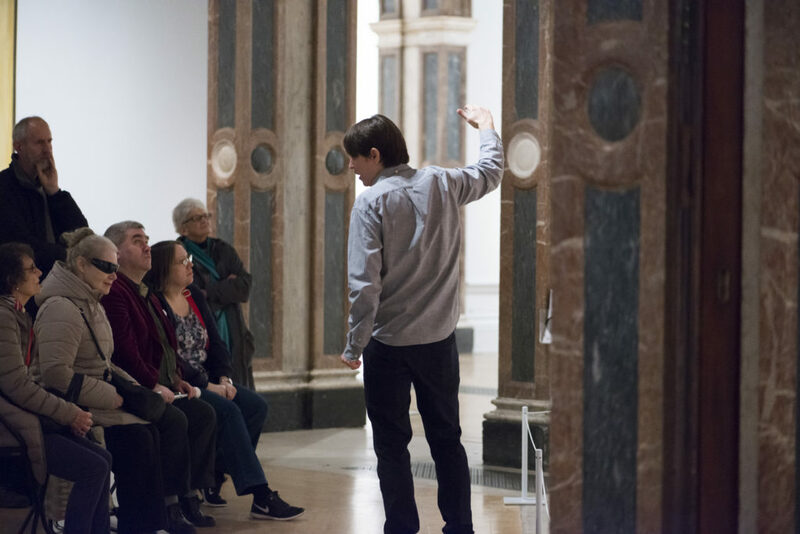 An event for blind and partially sighted visitors: join the Royal Academy for an audio described tour of the exhibition, ‘Bill Viola / Michelangelo: Life, Death, Rebirth’, followed by refreshments and a handling session. Experience the work of two artists – born centuries apart – whose work explores the same universal themes of birth, life and death. Take in a selection of Michelangelo’s most poignant drawings and a number of Viola’s film and sound installations spanning his entire career.The following handling session explores the different materials and processes these two artists have utilised to create their work.This event includes refreshments and volunteer support is provided.